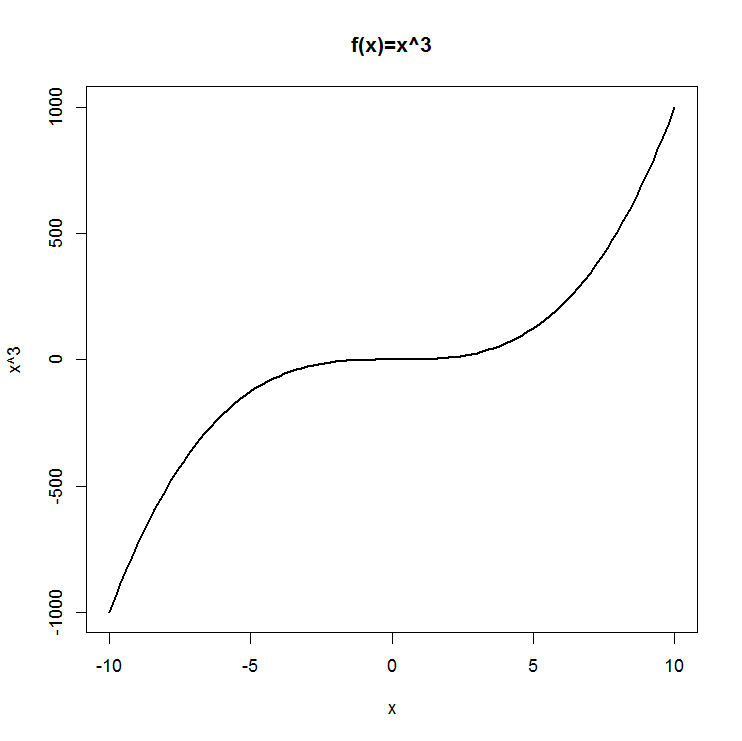 With the function curve you may plot a function. The following example shows how to use this function. The curve function offers the option add = TRUE. 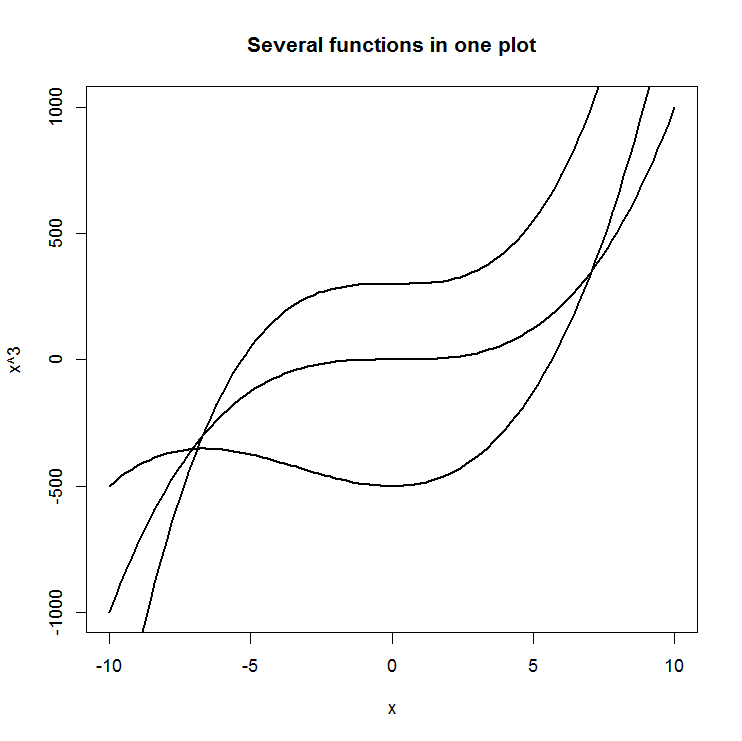 This will allow you to add a curve to an existing plot. The following example will add two more functions to the existing one.